â€œAt just under 8 million square feet and towering four stories, with one subterranean level for time-saving transport, the Mall of the Nation is home to 1600 stores and an additional three stories of residential apartments. Boasting a 30 screen movie theater, a five star resort-style hotel and two five star restaurants, the Mall is everything you ever wanted in one place. When single mother Lara Myers finds herself suddenly homeless with her two children, she takes refuge for the night in the Mall of the Nation, a completely automated retail complex that never closes. 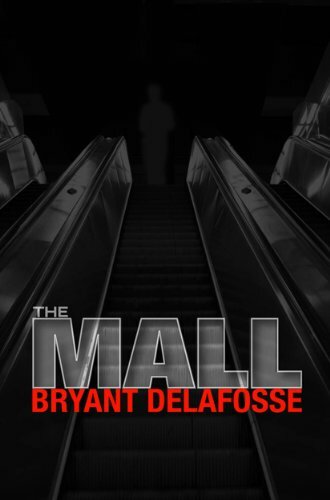 When a catastrophic event occurs, the Mall is locked down, causing Lara to be separated from her ten-year-old son Owen . Trapped and desperate, Lara enlists the aid of Simon whose job it is to maintain and repair the Mallâ€™s army of Bots. Lara finds herself in a life and death struggle to save her family from homicidal and supernatural forces to which Simon may hold the key. For they discover that they are not alone and that something does not want them to escape fromâ€¦. Bryant Delafosse was born and raised in Southeast Texas. He holds a degree from the University of Texas at Austin and is a screenwriter. He currently lives in Southern California with his wife, son, and Miniature Schnauzer, Luna.